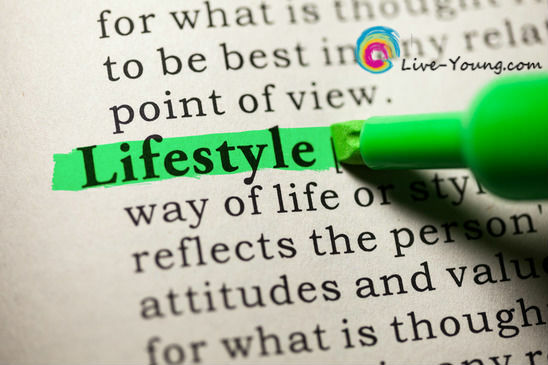 Defined further, lifestyle is the habits, attitudes, moral standards and economic level that together constitute the mode of living of an individual. Find work you love! Start with your passion then find a career that wakes you up every morning! Enjoy regular physical activity for improved balance, weight management, reduced cholesterol and blood pressure. Pick an activity you like and stick with it! Take care of your body by starting the day with 20 oz of water to re-hydrate the body after sleeping for 7 hours. Continue to hydrate with water all day long, meditate, chew your food, eat in peace, read, dream and laugh every day! Develop healthy relationships by spending time together, building trust, communicating regularly, being flexible and having fun. Eat less processed foods to reduce your risk for diabetes and obesity. Start today by avoiding these salty, sugary and high fat foods: soda, donuts, sugary cereal, deli meats, french fries and white rice. Increase whole grains for more fiber, protein, antioxidants and vitamin B. Five healthiest are gluten-free teff, farro, bulgur, buckwheat and barley. Read Huffington Post Healthy Whole Grain Guide for more details. Experiment with protein and try veggies, leafy greens, nut butter, quinoa, tofu, lentils, beans or tempeh for dinner. Here’s one of many new recipes I’ve tried from my Pinterest Healthy Recipe board: “Vegged-out” Pumpkin & Black Bean soup adding chopped kale greens yum! Increase leafy greens to pack in more nutrients and protein in your diet! Top picks are kale, spinach, collards, swiss chard, red and green leaf, romaine and mustard greens. Drink more water to maintain a balance of body fluids which aids with digestion, circulation, nutrient absorption and body temperature. Increase sweet vegetables and satisfy your sweet cravings! Snack on these low-calorie raw treats: podded peas, sweet potatoes, carrots, beets and rutabagas. Practice cooking more and eating out less. Here’s a couple of recipes I’ve tried from my Pinterest: Parmesan Lemon Zucchini and Paleo Chicken Salad – used Greek yogurt and added red grapes! Develop a spiritual practice with daily alone time, meditation, breathing exercises and moving your body to relax and de-stress. Remember your body is programmed to be healthy and is capable of healing itself when provided with the right building blocks. Focus on relationships, spirituality, career, physical activity and whole foods as they are the solid building blocks to achieve a superior lifestyle. Great steps anyone can take! My favorite is #10--sweet potatoes are a must, and tomato + basil is another sweet-ish treat I love. Now, if I could only remember to drink enough water every day!